This entry was posted on September 11, 2012 at 9:07 pm	and is filed under Aboriginal and Torres Strait Islander histories and cultures, Australian Children's Literature, Authors & Illustrators, Book Reviews, Indigenous Teaching Resources, Recommended books, School Library stuff. 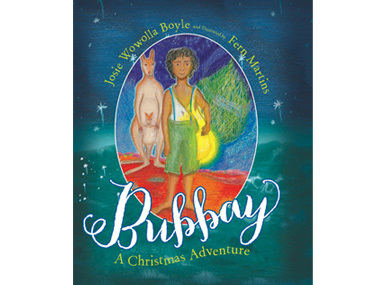 Tagged: Aboriginal art and culture, Aboriginal perspectives across the curriculum, Bubbay A Christmas Adventure, Fern Martins, Indigenous authors, Josie Wowolla Boyle. You can follow any responses to this entry through the RSS 2.0 feed. Both comments and pings are currently closed.